Tattoo Rodeo and White Sister‘s own Dennis Churchill Dries released his first solo CD, “I” (Dennis Churchill Dries ‘I’ Released TODAY!) and totally rocked Europe as well as North America in both press and sales… Writing has already begun on his follow-up. Thank you Dennis for getting’ back in the saddle and allowing me to be part of it! Teri Tims (Teri Tims – New album + Q&AOR Interview) – writing is finished! YEEHAA! I might mention she seems quite happy with the song choices for her upcoming release. I know she’s southern but talk about a slave driver… WOW! Judging by the songs picked, definitely worth the wait! Downbeat for recordings start in a couple weeks. Elvira. She is a funny talent combo sandwich… produced 3 of her albums and still laugh hysterically when I think back on them… jumped on the charts again this past Halloween with “Haunted House”, from her IMAX film “Haunted Hills”. You Go Girl! 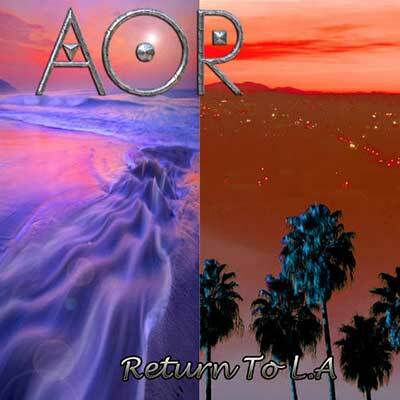 Thank you, Frederic Slama, and partner Tommy Denander for letting me team up with you guys on your latest AOR Release, “Return To L.A.” (Fireworks Magazine Online 69 – Interview with Frédéric Slama’s AOR.) Frederic, you are a great writer and Tommy, a monster guitarist! 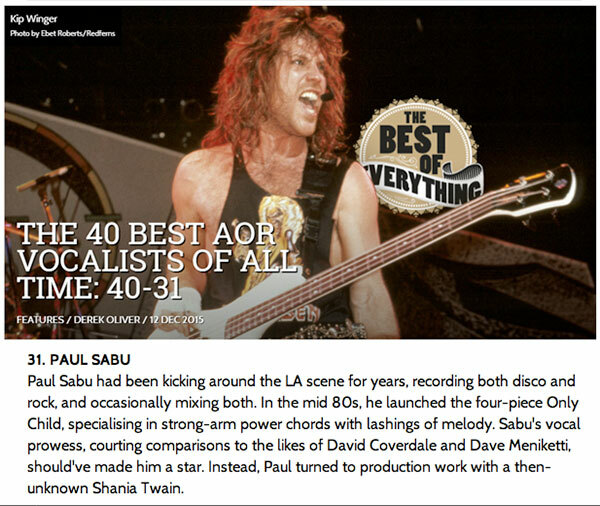 Not to mention they included me in the super all-star 2016 release alongside artists like Santana, one of my all-time favorites, Gary Moore, and melodic rocker Jesse Damon.